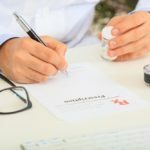 While not a new phenomenon, prior authorizations for medications and diagnostic imaging continue to be a thorn in the side of the practice of medicine. As a business owner and a physician who practices in an accountable care model, I can appreciate the importance of cost containment and practicality. However, insurance companies — or at least the third party companies they hire to review authorizations — often lack this quality. A retrospective reporting study published in the Journal of The American Board of Family Medicine in 20131 estimated that mean annual projected cost per full-time equivalent physician for prior authorization activities ranged from $2161 to $3430 annually. With the passage of time, more medications have become available as a generic alternative. One would think this would alleviate some of the prior authorizations, but we now have separate tiers and prior authorizations for generic medications. In many cases, using generic alternatives may not make much of a difference. The area in which I find this issue most intrusive is psychiatric medications. You may have a patient who has been stable on a certain medication for several years when an insurance company advises you it is no longer “preferred.” Preferred by whom? I ask. I want the patient to stay on the medication and the patient wants to stay on the medication. Apparently, insurance companies don’t understand that an unnecessary medication change — which often comes with a period of instability — doesn’t help a stable patient with depression or anxiety. Psychiatric medication is where I draw the line in the sand. This, of course, requires a lot of effort. There are generally a few messages between me and my medical assistant. These are often preceded by a significant amount of legwork on her part reviewing the chart to see if our patient meets the criteria for a certain medication. The medical assistant who I work side by side with is an expert at getting prior authorizations, and frequently obtains them without any input from me, just by taking the initiative. As stated earlier, this requires valuable resources that can take time away from patient care in other areas. Then there is the all-powerful CT scan or MRI denial. This is another time-consuming area that requires expensive resources for us, as well as for the insurer or their third party reviewers. After more than 20 years in practice and probably 80,000 visits, I do feel confident when I decide that a patient needs an MRI of their lumbar spine. However, it seems the insurers frequently disagree with me, arguing that I haven’t stated my case well enough. The problem is that not every patient needs to have 6 weeks of physical therapy prior to having an MRI. These disputes can be reduced with good documentation of prior therapy, previous surgeries, medication use, and any neurological findings. Recently, I experienced another classic situation: A patient needed to obtain some new equipment for treatment of his sleep apnea. Since it had been several years since his last study, the insurance company wanted him to undergo another sleep study. I can understand their reasoning, but for this patient — with obvious and known sleep apnea who responds to continuous positive airway pressure (CPAP), coupled with the fact that his equipment was falling apart — it was a waste of resources. His insurance company approved a home sleep study, and the patient had to pay a portion of the cost toward his deductible. Surprisingly, the study did not show significant apneic events… because the patient did the study with his CPAP on. Since the study came back normal, insurance wouldn’t cover new supplies because they believed he did not have sleep apnea. More resources, more phone calls, and then a denial for an in-lab study to prove the patient has sleep apnea. After a lot of legwork, time, resources, and frustration, they approved another sleep study to prove the sleep apnea diagnosis — which we already knew he had. Finally, the new equipment was approved, with increased expense to the insurer, the patient, and our office. This process took several weeks. I understand part of the insurance companies’ strategy is that if there are enough hurdles to jump over — or if the hurdles are too high — some of us might stop running. However, as advocates for our patients, we do the best we can. The process can be less frustrating when you and your staff work as a team to minimize prior authorizations or make them easier to complete through good documentation and communication with your team. Morley CP, Badolato DJ, Hickner J, Epling JW. The impact of prior authorization requirements on primary care physicians’ offices: report of two parallel network studies. J Am Board Fam Med. 2013;26(1):93-95.